Nowadays, the thought and work that goes into designing an office is as extensive as designing the home. From layouts to accessories to colors, offices are paying special attention to decide each and every detail so as to boost maximum creativity and productivity in their employees. If you are looking to renovate your office space with a positive and energetic ambiance the coming year, we have compiled a list of 9 office trends that you should definitely look out for in 2017. 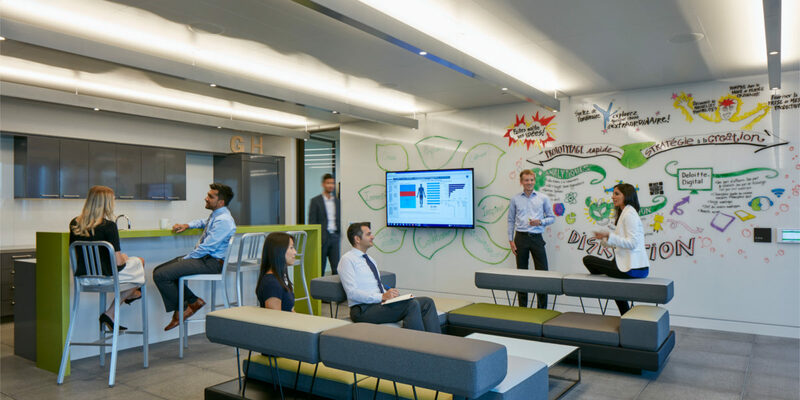 With the technology and the business changing face constantly, a well-designed workplace should be competent enough to accommodate this changing nature. Developing and designing a workplace with a flexible layout is the efficient solution. Smart choices in furniture and design will make your workplace resonate with efficient functionality. A very crucial part of a flexible layout is furniture that can adapt to the changing requirements. 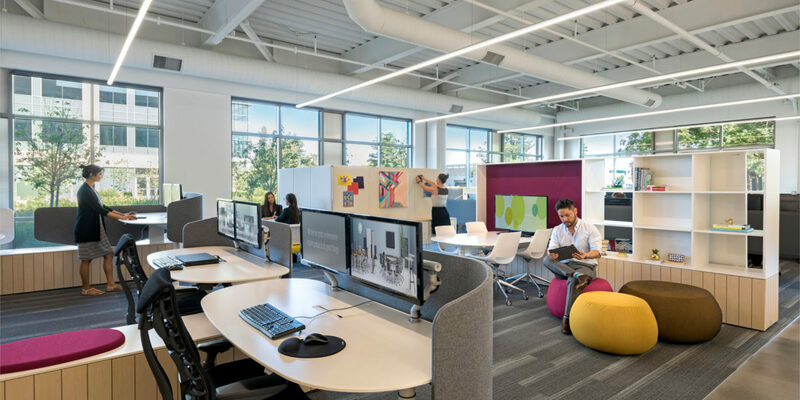 Modular soft seating, modular workbenches, desk pods, meet point tables, collaborative and breakout furniture, and acoustic elements are all brilliant examples of smart office furniture that boost a high performance in the adaptable workplace. 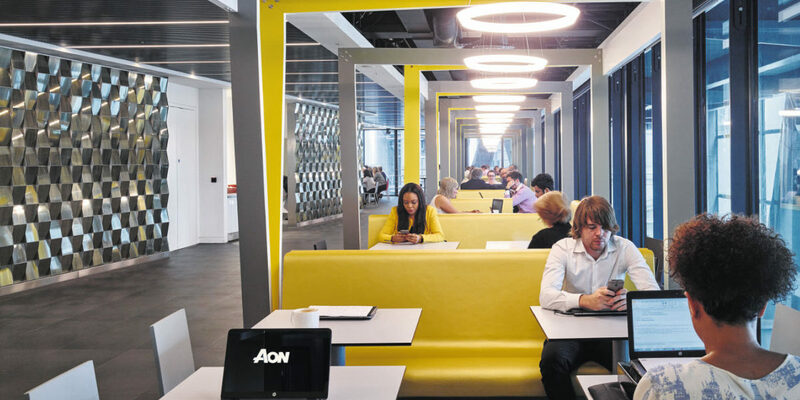 Workspaces that integrate with technology is one design trend that will see an uprise. We can soon see wireless charging of devices become common in the workplace if Apple supports the feature on the next iPhone. Built-in power adapters and multimedia capabilities can help in making the atmosphere easy and functional. Productive well-being design is being readily embraced by artistic workplaces. As the health and wellbeing of employees is cardinal, therefore, the feature has started to gain prominence in the offices. With sit-stand desks, areas for both collaboration and privacy, comfort, airflow, lighting and indoor plant life has been introduced for a positive outflow. Bringing the outdoors inside is a trend that is not going away anytime soon. As the employees spend time in the enclosed premises for roughly eight hours a day, therefore, including a natural ambience can not only help to bring an open and pleasant atmosphere but also help in purifying the air. 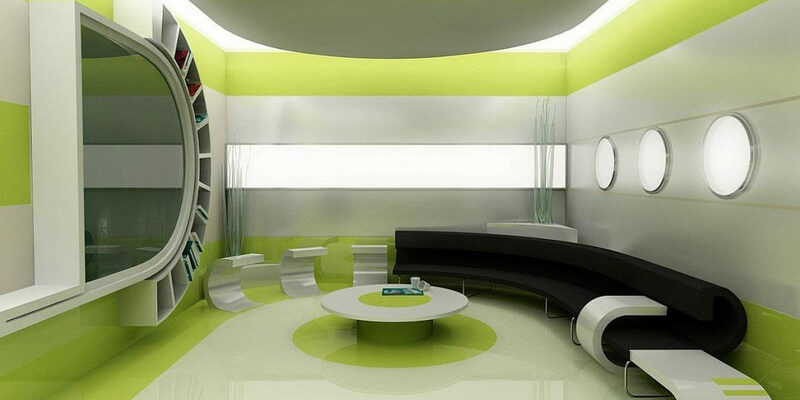 Colours help to convey moods that can influence your productivity in the office. This is one of the reasons why we don’t see much red or black painted on the walls in office and homes. Consider the soothing and cool colour blue if you are looking to bring a calming ambience to the running office atmosphere. One of the other growing trends in office spaces is limiting the personal work areas and making a common working place for all employees to work and serve. Make sure to install power sockets to easily charge the laptops, smartphones and other devices. 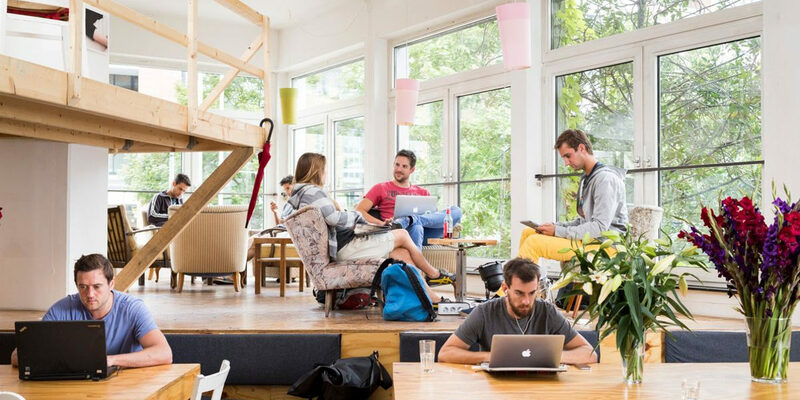 Individuals and start-up companies have begun to look for co-working facilities that provide a cost effective and convenient office environment. Along with providing all the necessary elements, the setup also allows for cross-field interaction and discussions. Lounge areas where team members and employees can keep their feet up and relax is an essential inclusion that has been on the rise in the current hectic workspaces. The areas help to foster relaxation and also support a more enjoyable work experience. Whether you work in a strict 9 to 5 professional setup or round the clock artistic arena, these office design trends are definitely worth a shot, if you are looking to make your office an enjoyable and comfortable workplace.